Aditi Ashok improved on her first round performance to shoot one-over 73 on the second day and climbed up the leaderboard from tied 19th to tied 11th position. 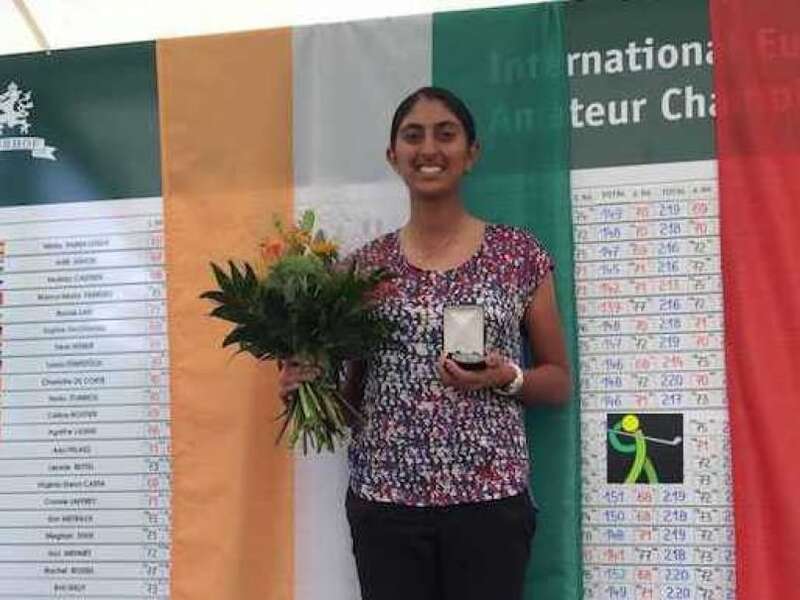 Amateur Aditi improved on her first round performance to shoot one-over 73 on the second day and climbed up the leaderboard from tied 19th to tied 11th position. She has a two-day total of four-over 148 -- five strokes behind leader Emily Kristine Pedersen of Denmark. Vani too carded a 73 in the second and penultimate round to end the day at the 27th spot on eight-over 152. Saaniya scored a 75 to be tied 44th on 10-over 154, while Smriti added a 79 and was lucky to make the cut that fell at 12-over 156. Sharmila Nicollet, Vaishavi Sinha and Neha Tripathi were the prominent faces who missed the cut. Another highlight of the day was a hole-in-one by Thai golfer Kanphanitnan Muangkhumsakul on the fifth hole. But the day belonged to rookie Emily from Copenhagen, who avoided taking too many risks and played a controlled round, maintaining her single shot lead. Eyeing her maiden title, the 19-year-old carded a lone birdie on the fourth hole against two bogeys on the fifth and 14th to end with a total of one-under 143. The rookie from Denmark is in contention to win the Rookie Player of the Year award on the Ladies European Tour (LET). One shot behind the Dane was Becky Morgan of Wales (71). Another Dane, Malene Jorgensen carded even-par 72 to lie two strokes off the pace. American star Cheyenne Woods played one of the best rounds of the day, firing 69 to jump into tied fourth position after the end of the penultimate round. She carded four birdies on the ninth, 10th, 13th and 16th with a lone blemish on the third to finish with a total of 146 after two rounds. Among other notable players, defending champion Gwladys Nocera and English Melissa Reid were tied 38th on 153 after the second round.